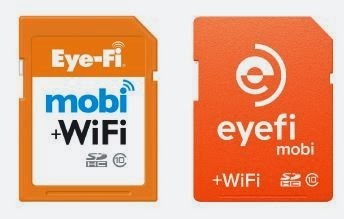 Anyone who loves photo ops, Eyefi launched memory card to store pictures, called "Mobi", if you look at the card, you will notice that it kind of unusual memory SD card. But the case with this card, it comes with a "Wi-Fi" service with no built-in, next to the stored images. Where the card will allow the user to transfer and share the captured images from the camera to the afterlife related camera devices via "Eyefi" special card service, it also works on all of the regular "Android" and "Aye or feed" through the free application, which was launched on the two previous platforms. It can also synchronize the images that have been captured by the camera between both the phone and your personal computer as well as copied to the Web, according to what you want to do. As for the pictures, the card does not read jpg format but only where it ignores other formats such as RAW. In addition, what distinguishes this card "Mobi" next to its SD-card storage, it features support for wireless networks, "Wi-Fi". 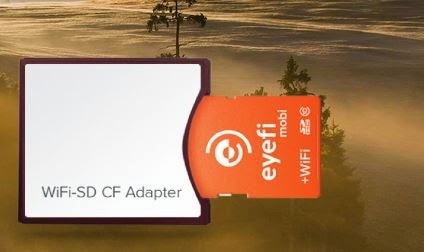 Recalls that "Eyefi" provided her card smart different storage capacities, and the average storage capacity of 16 GB card price up to $ 99 USD.